Please join us for a powerful class that improves relationship and strengthens families. 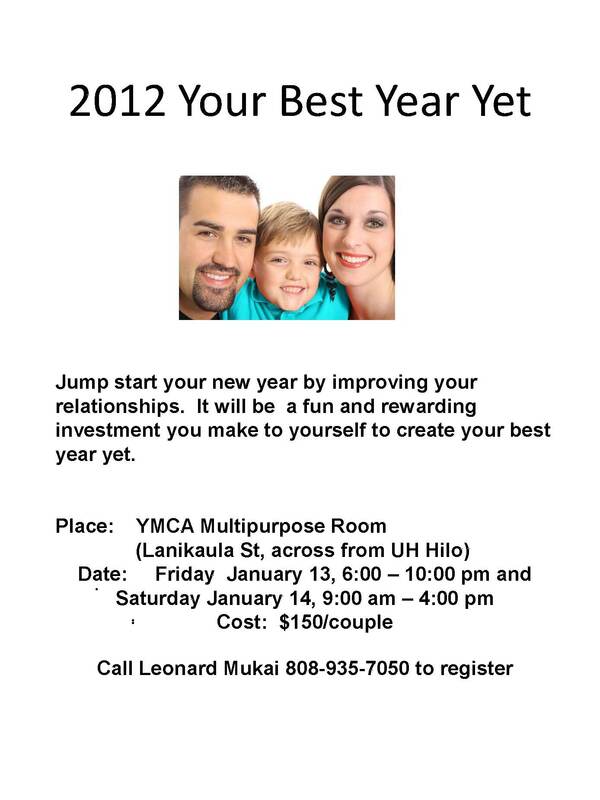 You’re invited to attend one of the two sessions available; to be held on January 13 and 14, 2012 at the YMCA on Lanikaula St., Hilo, Hawaii. This event is open to the public. Bring a friend! 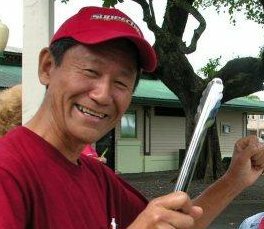 Note: Leonard Mukai, PhD. and Cecelia Mukai, PhD. 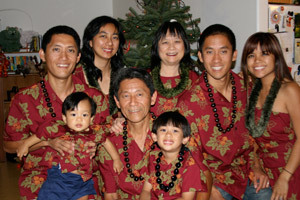 are affiliates of Starts at Home and has moderated numerous parenting potluck dinners. Leonard is a certified Life Coach. The above program is excellent and highly recommended. I just read an email by Dr. James Dobson who said that “only 1 or 2 marriages in 10 will generate the intimacy so desperately sought.” That is so sad. It can be prevented, especially by avoiding the first mistake that most couples make. I will be sharing about 10 mistakes that couples make. 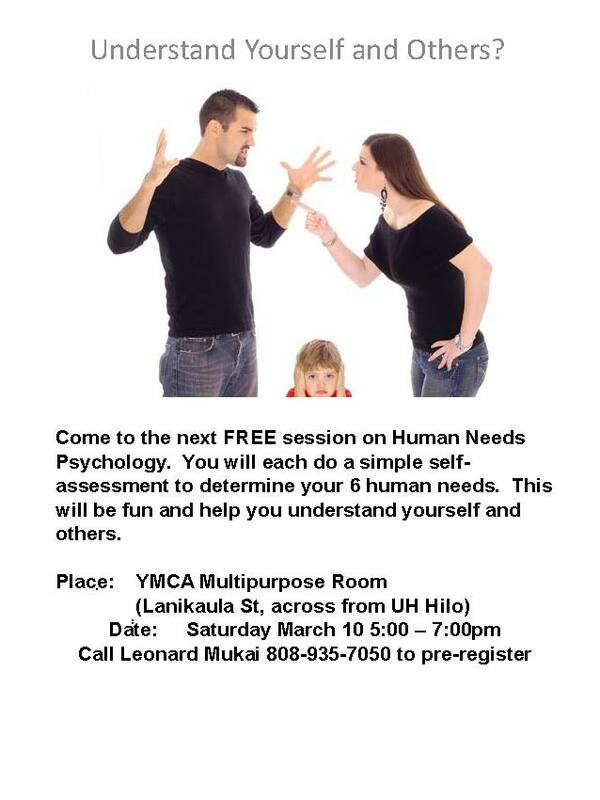 The session will be on Saturday the 19th at the YMCA on Lanikaula St. It starts at 5pm. Bring a friend! Note: Leonard Mukai, PhD. and Cecelia Mukai, PhD. are affiliates of Starts at Home and has moderated numerous parenting potluck dinners. The above program is excellent and highly recommended. What is more important than a happy family? Nothing that I know of. In 2 out of 3 marriages a crisis comes when the couple has a child! Watch the short video below to find out why and what to do. We are Leonard and Cecilia Mukai and we have a wealth of knowledge and experience to help you save and enrich your marriage. Join us. It is too PAINFUL and STRESSFUL to learn these techniques and strategies yourself or to NEVER learn them.